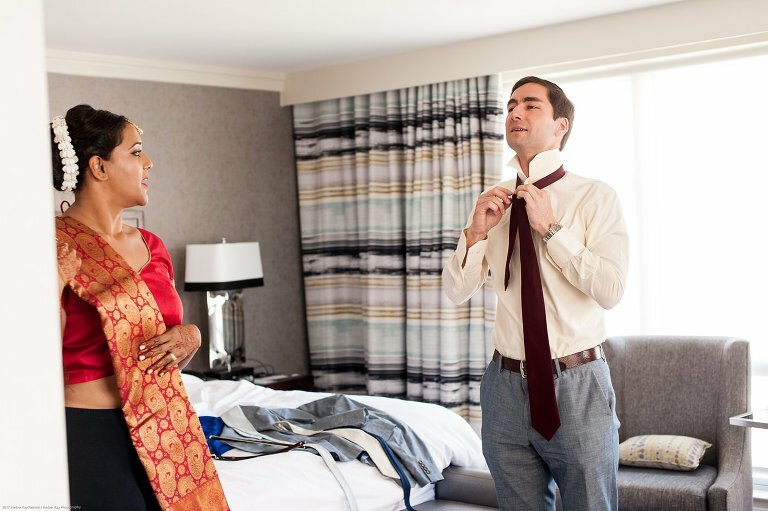 Daniel and Selvi were married on an absolutely stunning September morning at the Carlyle Club in Alexandria, VA. It was such a unique wedding day full of love, laughter, happy tears, and so much color. These two did the perfect job of planning an event to bring their families and friends together. 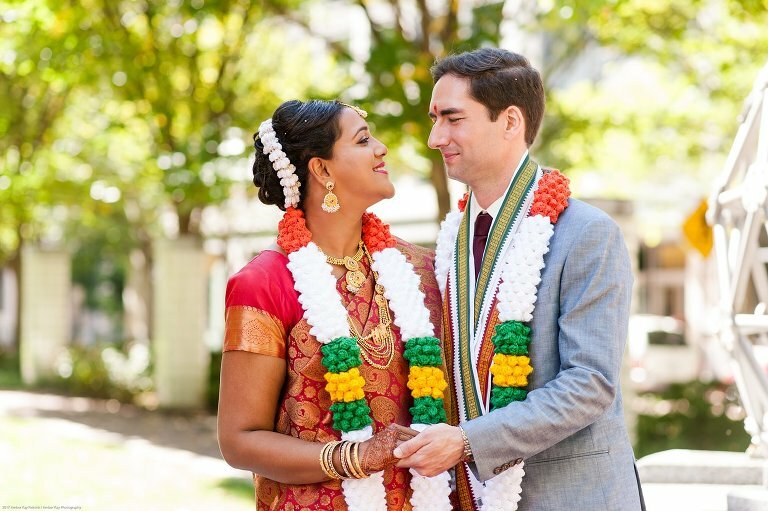 Selvi wore a stunning raw silk sari and Daniel opted for a suit. The two spent part of the morning together getting ready. Daniel got dressed and then left for his Janavasam – where he met with friends and family and walked parade-style to the venue. Selvi got dressed in her sari with the help of her mother. This might have been my favorite part of the whole day!! After getting dressed Selvi made her way over to the venue to meet Daniel and the Janavasam. Into the Carlyle club for the ceremony. So much color! It was breath taking.